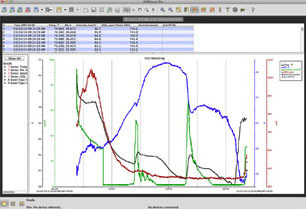 Put your data to productive use with HOBOware® and HOBOware Pro software. Plot or export data to spreadsheets to conduct analysis necessary for your project. HOBOware is easy to set up and its intuitive, point-and-click interface makes it simple to run. 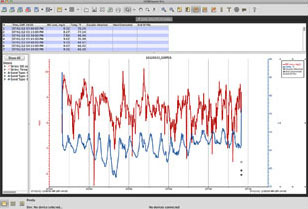 This data logging application is compatible with all HOBO data loggers and wireless data nodes. HOBOware makes logger setup and readout fast and easy with simple, intuitive windows. HOBOware's graphing and analysis tools allow you to plot, analyze and extract key data with a few simple clicks. With HOBOware, you can easily create high-quality visual presentations of your data. Download your free 30 day trial of HOBOware Pro today. 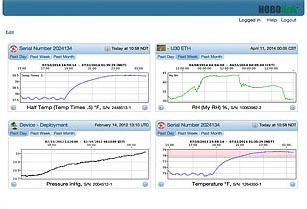 From set-up to analysis, no other data logger software can compare to the power and simplicity of HOBOware Pro. Windows: 8, 7 (Pro, Ultimate and Home Premium), XP (Pro and Home). Windows 7 Enterprise: Note: While HOBOware has been modified to work on Windows 7 Enterprise, there may be local configurations of that operating system that will not work with HOBOware. Mac: OS X Versions 10.7.x, 10.8.x and 10.9.x. Java Runtime Environment (JRE) 1.6 or 1.7 (32-bit or 64-bit on Windows). Please note that Windows 8 users needing serial logger support must have Java 7 (1.7.0_9) or greater. Please note that version 1.6, also known as Java 6, is officially supported on OS X only on Intel Core 2 Duo and later processors. See the time zone note below. One of the following Internet browsers: Safari 6, Microsoft Internet Explorer 10 and 11, as well as the most recent versions of Firefox and Google Chrome. Minimum screen resolution of 1024x768. Recommended screen resolution of 1280x800 or greater particularly for non-English users.